Amazing. Free. The gold standard for years. new WS website sux , true . 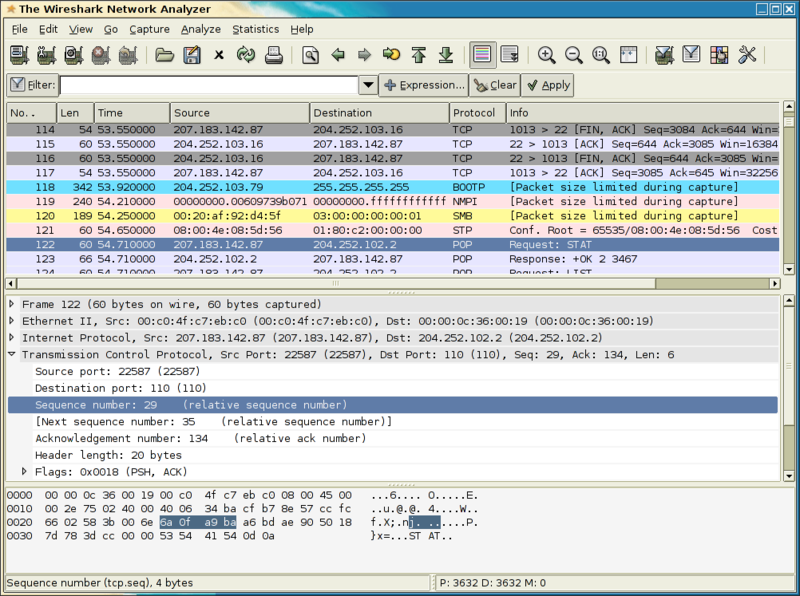 excellent program, does what I need and helps me resolve connection issues and more..
Wireshark 0.99.7 has been released. Many security-related vulnerabilities have been fixed. This release improves the privilege separation between the capture code and interface code. It also lets you filter directly on SNMP OIDs, follow UDP streams, and has improved Vista support. This software is extraordinary. Open-source, free and give you maximum visibility into pcap files, etc. highly recommended network analysis tool. For windows platforms however I am still prefering packetyzer (www.packetyzer.com) although it doesn't get much love lately (still based on ethereal). This project isn't in sourceforge anymore. "In May of 2006, the original author of Ethereal® went to work for CACE Technologies (best known for WinPcap). Unfortunately, he had to leave the Ethereal® trademarks behind. Wireshark is almost (but not quite) a fork. Normally a "fork" of an open source project results in two names, web sites, development teams, support infrastructures, etc. 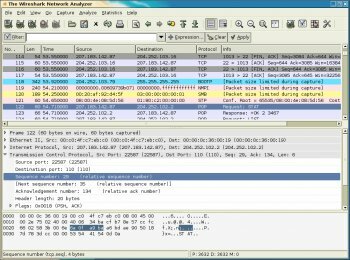 This is the case with Wireshark except for one notable exception -- every member of the core development team is now working on Wireshark."